This "clicker case" is modified from Martin Kelly's case study "As the Worm Turns: Speciation and the Apple Maggot Fly," also in our collection. 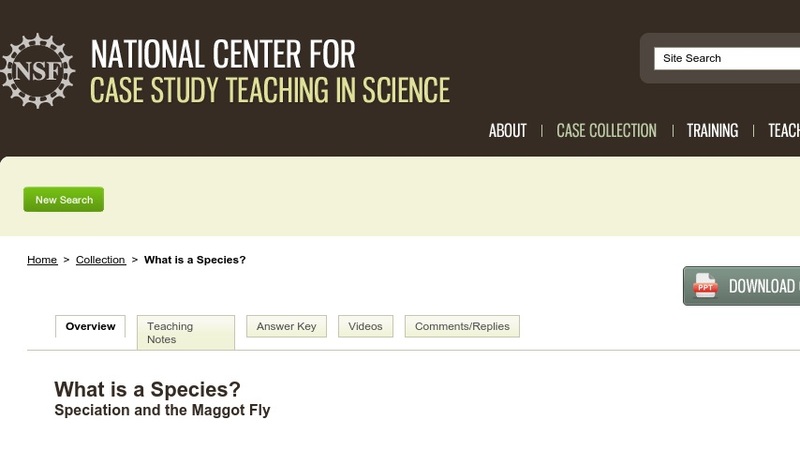 Classic cases of incipient speciation such as the apple maggot fly and the hawthorn maggot fly are an excellent way to teach students about the mechanisms of speciation. In this case, students learn about the natural history of apple and hawthorn maggot flies, then apply various species concepts to decide if they should be considered separate species and decide what evidence is relevant to each species concept. The case is designed for use in a general biology course for majors. It consists of a PowerPoint presentation (~8MB) punctuated by questions that students respond to using their clickers before moving on to the next slide. It could be adapted for use without these technologies.